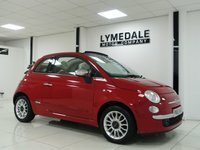 "ONE OWNER WITH FULL FIAT SERVICE HISTORY" A Fantastic Looking Abarth Convertible. In Gara White with a spotless interior, Great Specification which includes Blue&Me, Sports mode, Electric soft top, 17 Inch Alloy wheels with excellent tyres, Multi function steering wheel, Bluetooth, Rear parking sensors, Auto dimming rear view mirror, A Stunning Rare Fiat Abarth with it's sleek and stylish design, is truly one not to be missed! !, 2 Keys. 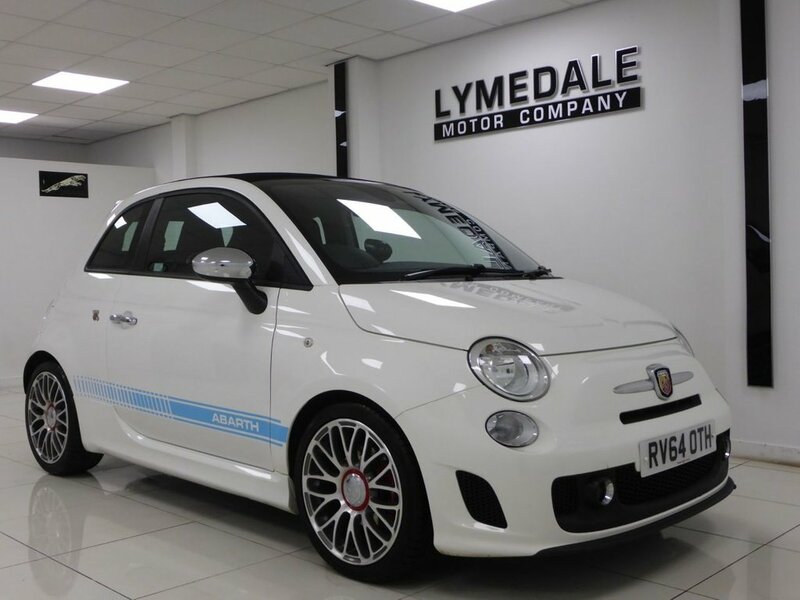 With a full pre delivery inspection and a RAC warranty, plus 12 months RAC Roadside Assistance included Low Interest Rate Finance available on all our vehicles.- Call Us For Details. 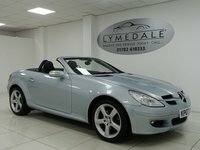 Nationwide delivery available.- £100 Refundable Deposit Secures This Car - Call Now! 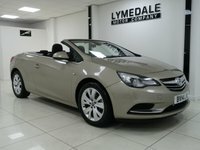 Buy with confidence from one of Staffordshire's largest premier dealers. 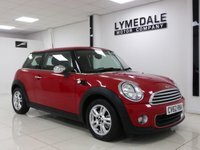 to reserve this vehicle Call 01782 618333. 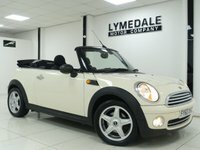 This car comes with:Great finance packages, Bluetooth Phone , 'Guide me home' headlamps, 17 Inch Alloy Wheels, active voice control , Air conditioning , Blue & me with USB + Aux in, Chrome door mirror housings, Dual drive PAS, Dual stage Driver/Passenger Airbags, Electric cloth hood, Electric front windows, Electric Mirrors, Electric wing mirrors with demisting function, Electrochromatic rear view mirror, ESP + ASR/MSR + HBA + Hill holder, Inox door aperture kick plates, Inox pedals and footrest, Isofix child seat preparation, MP3 compatible radio/single CD player, Rear parking sensor, Red painted brake calipers, Side skirts, Special solid - Gara white, Sports mode button , Sports pedals, Sports seats, Steering wheel mounted audio controls LOW RATE FINANCE PACKAGES. 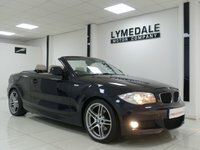 PART EXCHANGE WELCOME, NO ADMIN FEES, MILEAGE CHECKS WITH A FULL HPI CERTIFICATE. 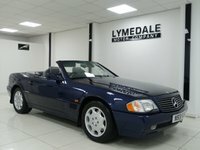 LYMEDALE MOTORS LTD, ESTABLISHED FOR OVER 40 YEARS. WE ARE A UNIQUE BUSINESS WITH AN EXCELLENT REPUTATION. 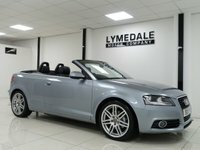 WE TAKE PRIDE IN OUR CARS AND CARE ABOUT OUR CUSTOMERS. 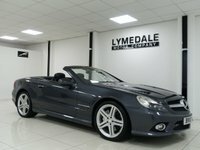 ( PLEASE READ OUR AUTOTRADER REVIEWS ) OPEN 7 DAYS A WEEK. POSTCODE FOR SAT NAV, ST5 9DX. 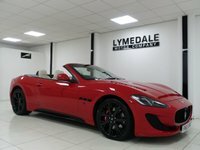 CALL 01782 681 333. VIEW VEHICLE SPECIFICATION BELOW.